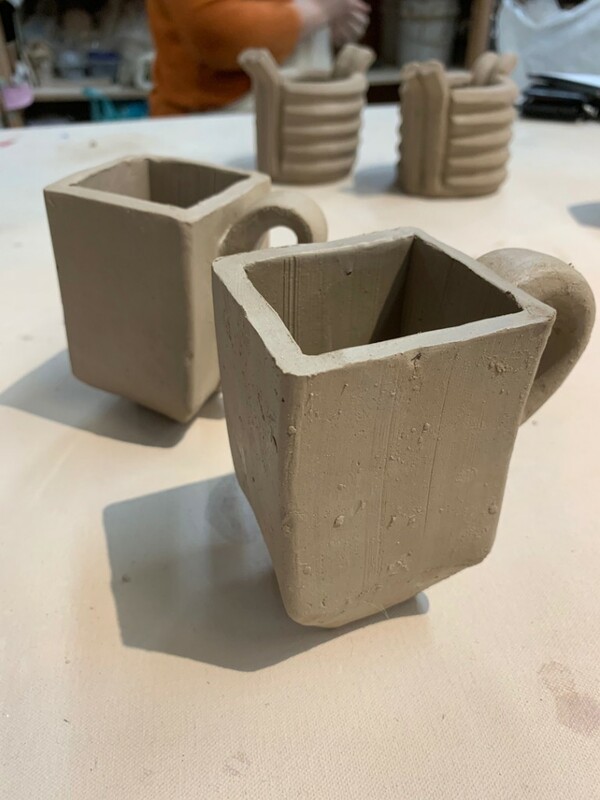 So my THROWDOWN students had about 90 minutes to extrude their clay and assemble two matching mugs. Seems like a long time… except it took quite awhile for everyone to get through the extruding process as we only have two extruders. 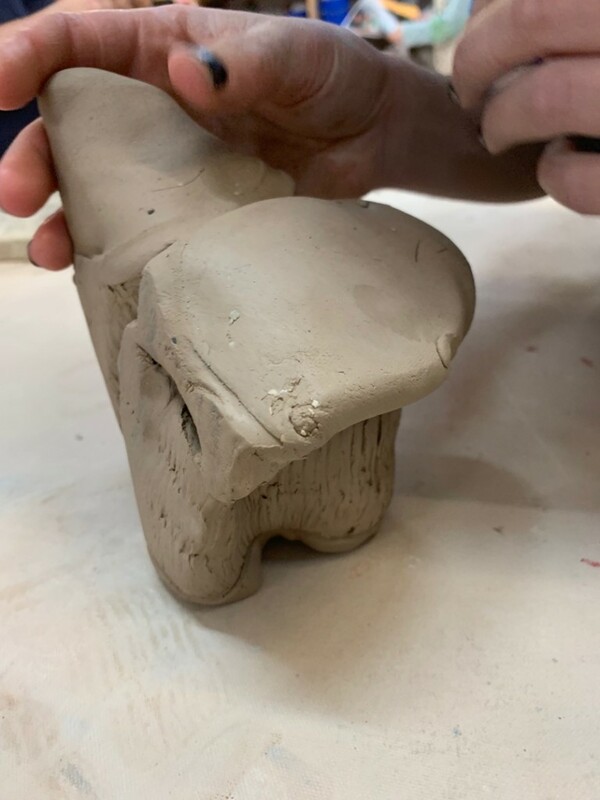 Also keep in mind that the clay was a little bit wetter & squishier than we may have wanted… so many of them were struggling with gooey clay as well. 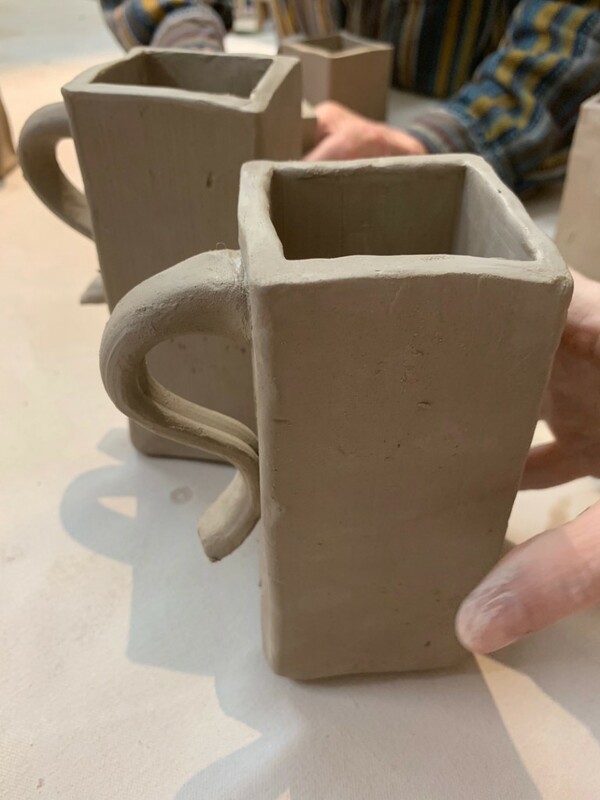 Claire kept her hexagon tubes intact and added thin handles to her mugs… although we discussed my concern that her handles might be a little too thin to support the weight of her mugs if filled with coffee?! 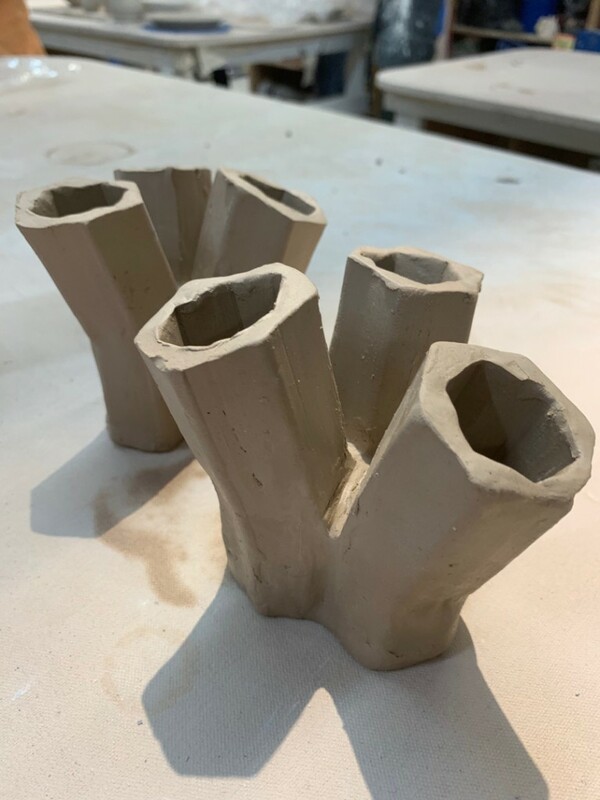 Jon extruded his tubes and then “fudged” with them to make them more organic, smoothed, concaved and sweeping. 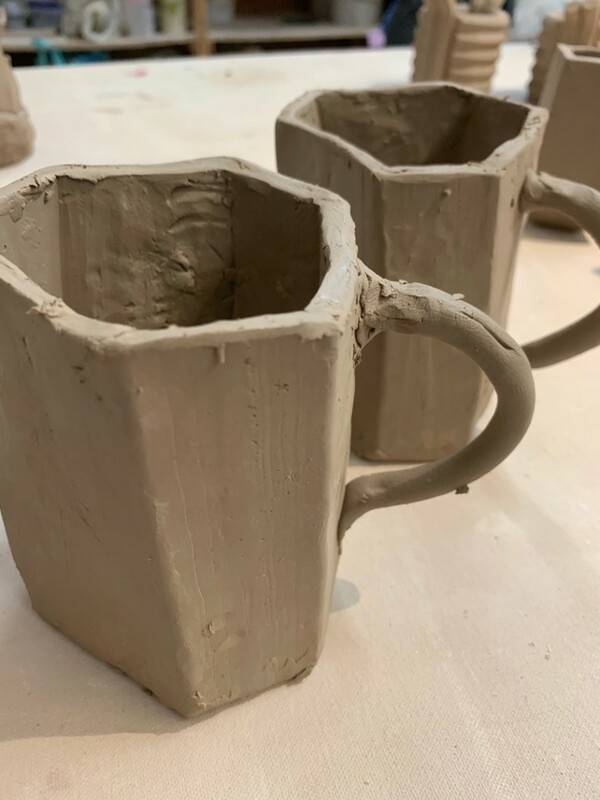 Unfortunately… he forgot that “mugs” need handles!!! 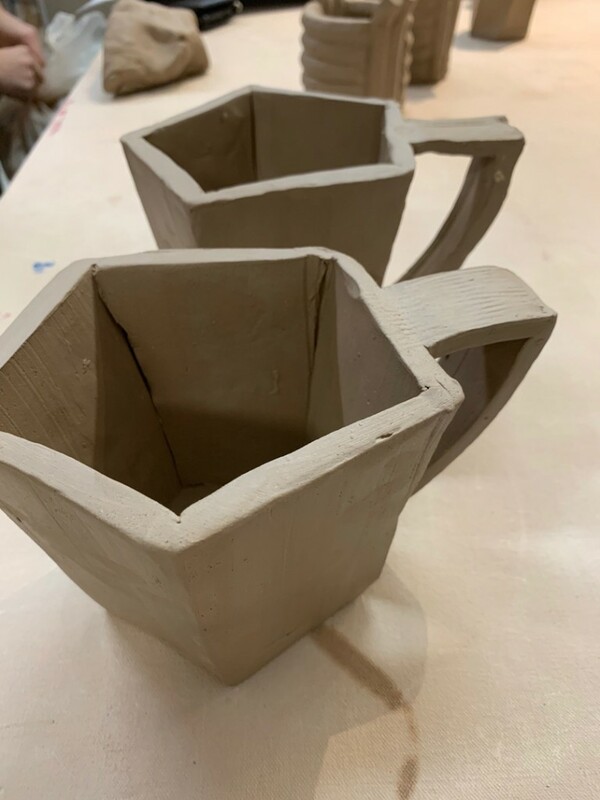 Dave extruded slabs and handbuilt these pentagonal mugs with a matching geometric-shaped handle. 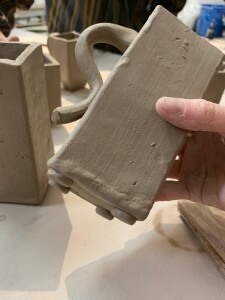 Molly added handles and little round feet to her square mugs. Ryan combined a trio of tubes all sharing one central “container” vessel area. 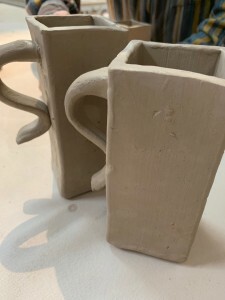 That way you can lift the “mug” with any of the tubes, and drink out of another one! Clever idea… although I’m not too sure it will work? 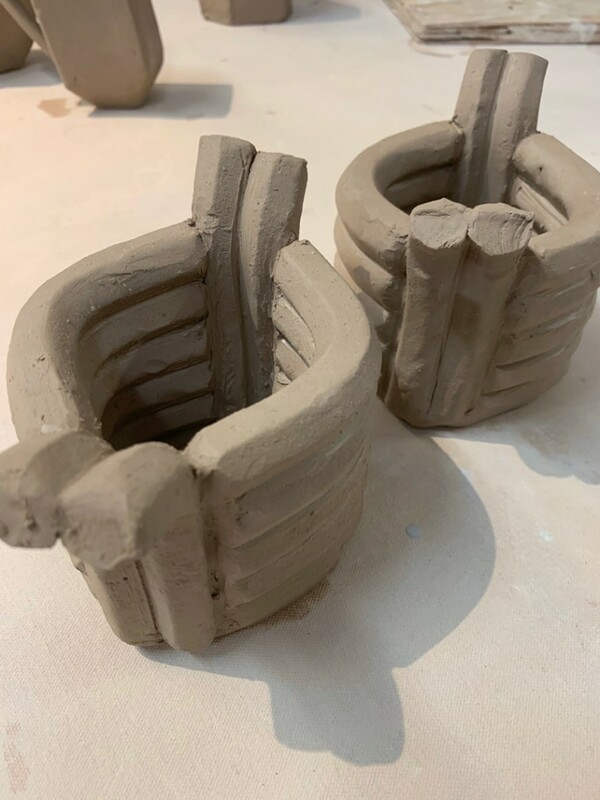 Donna extruded thin tubes, and then stacked them to be her mug walls! 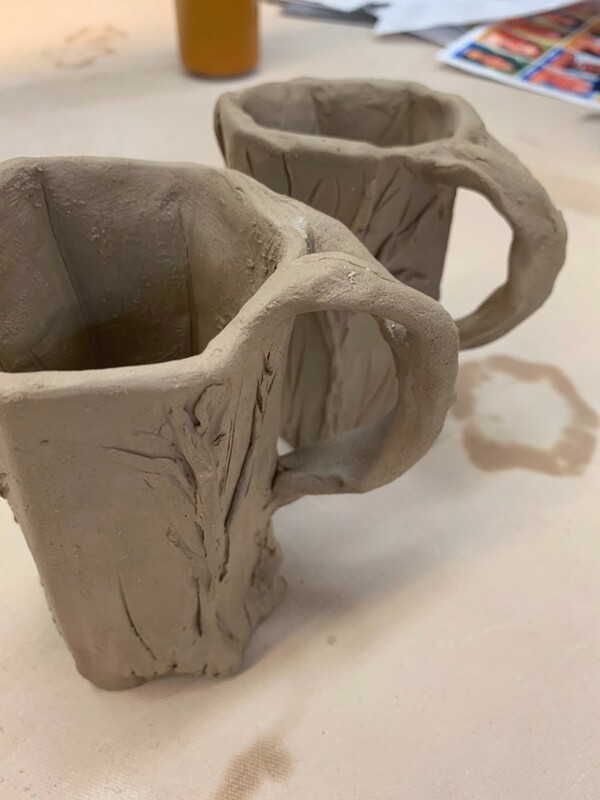 Tatiana added trees & branches to her mugs… complete with twig-branch handles! Theresa who went very clean & simple, perfectly matching… with beautifully darted and beveled bottoms. 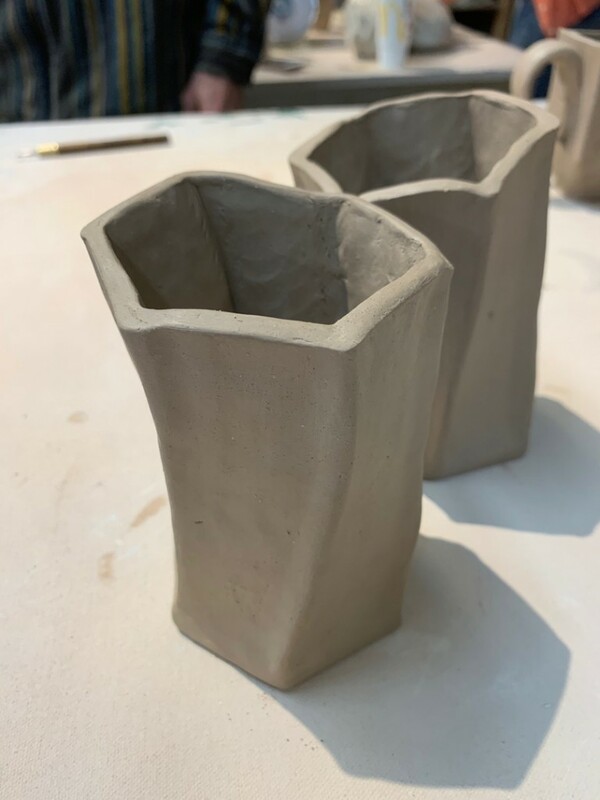 Unfortunately, my photos don’t quite show the bottoms as well as I had hoped. 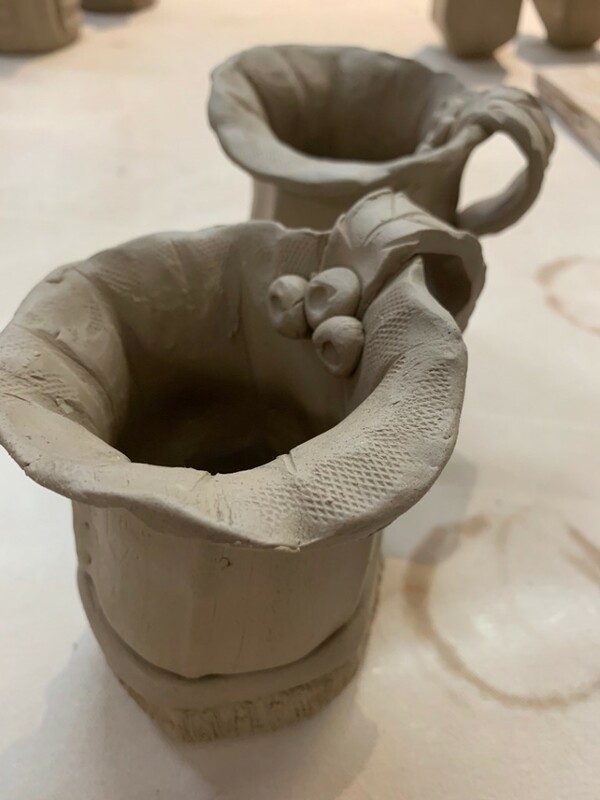 Susan played with her extruded tubes to give them a bit more of an organic feel… complete with leaves, berries and a lady bug! 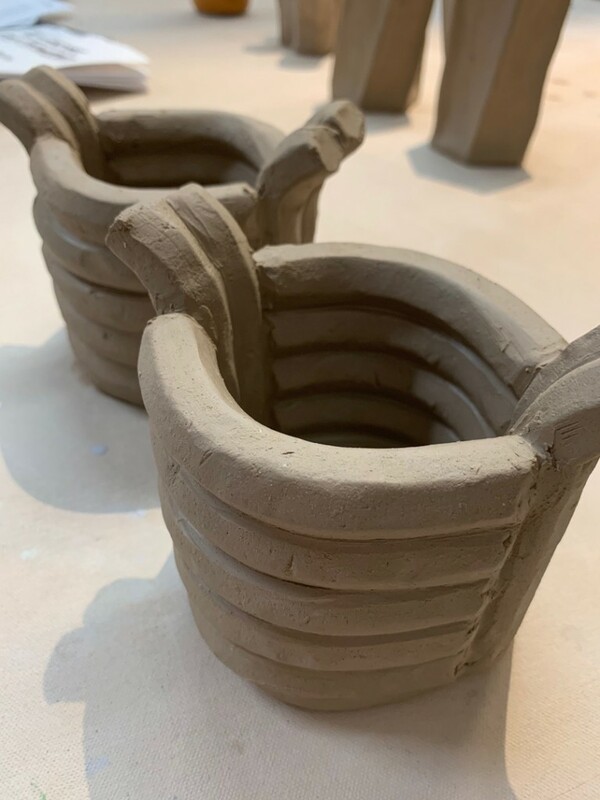 And Taylor‘s entry into the game… as she decided to squish hers up and recycle the clay before I had a chance to get a photo!